New Bill and Michael? Oh, yes! 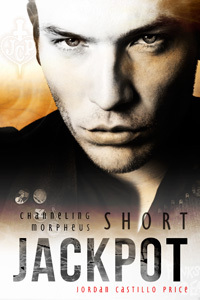 Head on over to JCP Books to find the re-release of Channeling Morpheus 10: Elixir, Heaven Sent (2nd edition bonus short) and the ALL NEW bonus short, Jackpot! Visit JCP Books and see what's new! Thank you so much for Jackpot And Heaven Sent! I'd forgotten just how much I love Michael and Wild Bill. Might be time to do some re-reads on those two. Woo hoo! You're welcome, I'm so happy you enjoyed them.